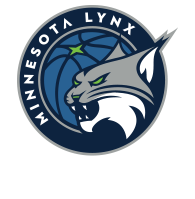 The Lynx won their fifth straight game on Wednesday afternoon, beating the Atlanta Dream 83-65 due to some stellar play from their front court. 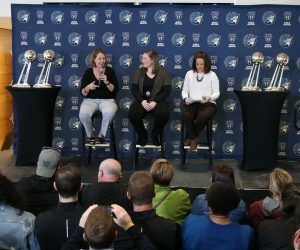 In front of over 16 thousand fans and kids in attendance for Minnesota’s annual ‘Camp Day,’ the defending WNBA Champions won their 20th game of the year against a highly skilled Dream team. 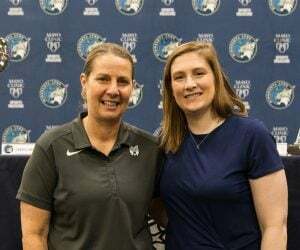 Minnesota’s bigs were too much for Atlanta to handle throughout the game, as Rebekkah Brunson and Sylvia Fowles combined for 27 points on 10-for-15 shooting, 18 boards and five blocks. 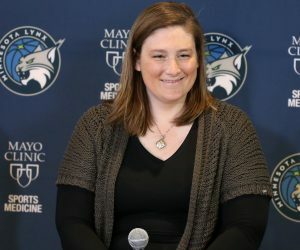 The Lynx were all over the court defensively during the contest, forcing the Dream to shoot 38.3 percent from the field and to commit 17 turnovers. Seimone Augustus got hot in the second half of the ballgame and finished the contest with 19 points (8-for-12) and five assists. Atlanta only had one player score in double-figures, with Layshia Clarendon putting in 11 points, while center Elizabeth Williams made her presence felt, tally seven points, eight rebounds and four blocks. 9: Minnesota did a great job all afternoon staying focused defensively all afternoon, recording this many less personal fouls than the Dream committed. 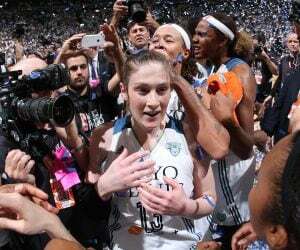 13: Ranking second in the league in assists per game, the Lynx did more of the same on Wednesday, recording 22 dimes on 29 field-goals, which was this many more than Atlanta in the game. 2: After allowing 10 buckets from beyond-the-arc in their last game, Minnesota buckled down on the perimeter defensively, causing Atlanta to make allowed 3-pointers, allowed 10 last game.